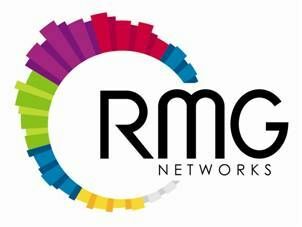 RMG Networks Holding Corporation supported an existing client, one of the largest complexes for events and exhibitions in the world, expand its digital signage footprint with the installation of visual solutions, most prominently RMG MAX LED. RMG is expanding the solutions offered to this long-standing customer with its recent growth to a new venue building. RMG is implementing its MAX LED outdoor solution with a large LED sign for dynamic messaging and advertising along with a management platform capable of supporting an array of other visual signage needs. With this implementation, RMG now powers the full realm of more than 250 digital screens across the events complex, including indoor and outdoor digital screens, media walls, LED walls, video walls and conference room booking systems. "We are proud to participate in our customer's expansion of its digital signage footprint and grow in conjunction with them," said Robert Michelson, Chief Executive Officer and President of RMG. "The continued value of RMG's products and services were a key factor promoting this client to greatly expand their investment with RMG. We are pleased to recognize this major contract for our new RMG MAX product of large LED screens. This is further evidence our expanding product strategy is being well received by our customers."